Electric to the Ridley Road market traders' coldstore is about to be disconnected. The Council has told traders to vacate the Birkbeck Road building within 14 days. The power is about to be cut off. It comes at a time when the building has been identified as a "development opportunity" site. The Council says that, following a fire, the building is a "potential health and safety hazard". Building Control are said to have declared it a "dangerous structure". Management have said that the building is "uneconomic to repair", "should be demolished" and that the Council has "no obligation to provide a market store". The Council has offered the displaced traders some containers for rent in the car park next door for the time being. This latest shutdown of electrics follows the disconnection of the Council supply to all market stalls last May. That supply is still not restored. The traders have been relying on generators and local shops for lighting. Ridley Road Market Traders Association (RRMTA) made a Freedom of Information Act request for the reports which, the Council said in May, justified the electric shutdown on health and safety grounds. The Council now say there weren't any reports. 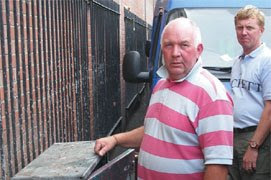 The Council also alleged at the time that traders had vandalised the facilities. The RRMTA has appointed an independent electrical engineer. 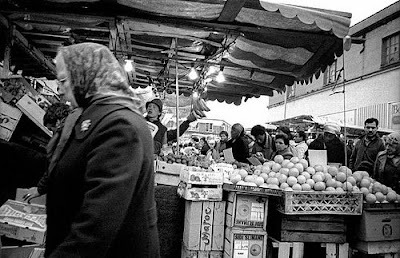 All these photos are from the 1970s and 80s when Ridley Road market had proper lighting. But today there is none. The nights are drawing in and very soon the clocks will go back. 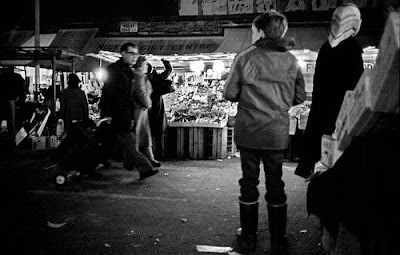 The displacement of Ridley Road's market traders is a torturous tale. At one time the market storage yard and sheds were where Sainsburys is now. But the Dalston Cross shopping centre development displaced the market traders who were moved to a new store in Birkbeck Road. Birkbeck Road has had a troubled history of its own. 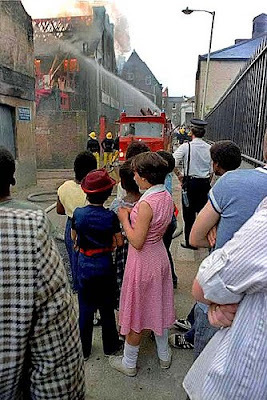 This photo shows the fire in the mews in 1979. The new market store was built on the land cleared after the fire. 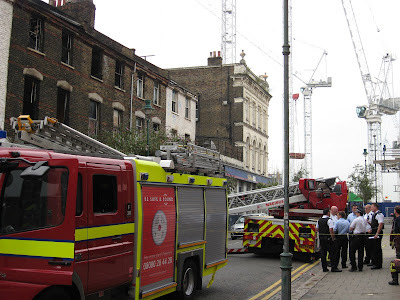 But 5 years ago the new store itself caught fire and is now to be demolished - a commonplace event in Dalston these days. The Council left it unrepaired ever since the fire and has refused to accept traders' rents and has denied their tenancies. 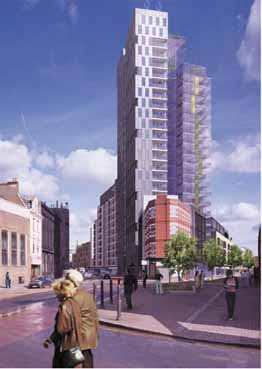 Now, once again, Birkbeck Road has been identified as a "development opportunity" site. Along with the whole of Ridley Road market. 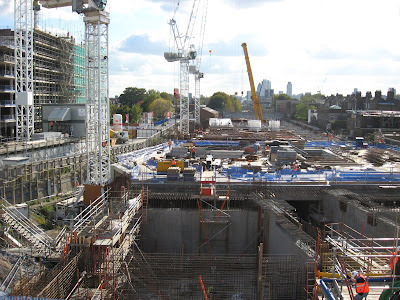 Hackney's Mayor Pipe has denied any intention to sell off market land for redevelopment but more recently the Council has opened talks with RRMTA regarding redevelopment of the market. 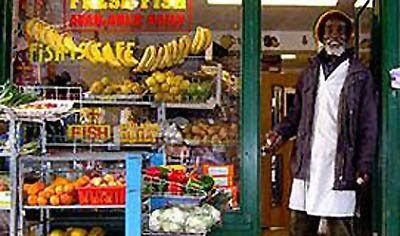 With the loss of the Birkbeck Road store for perishable goods, the lack of secure lighting and power to the stalls, the wave of Council prosecutions and licence revocations and with new market Regulations planned, which will stretch to 17 pages, it is becoming impossible for the Ridley Road stallholders to sustain their businesses. The supermarkets and developers must be delighted. All the photos here have been taken over the years by Alan Denney. You can see collections of his work here. This is what a Hackney Council spokesperson said: "Ian Sinclair is well known as an author who has expressed controversial opinions on local issues, such as regeneration and the 2012 Olympic legacy. A decision was taken that it would be inappropriate to launch this book about Hackney in a Council owned facility, as we do not wish it to appear that the Council condones or shares opinions expressed within the book. The same decision would be taken about launching any book expressing controversial or political opinions from a Council owned facility. The Council is happy to advise Mr Sinclair's publishers on more suitable venues in the borough, such as independent bookstores." Hackney Streets is an auditory extravaganza where four choruses surround the audience and take them on a journey though time and Hackney. The cast of characters includes: Shakespeare, James Burbage, Parkes – the inventor of plastic, Anna Laetitia Barbauld, Anna Swell, Morris Beckman and the street cries of Ridley Road market. Poetry highlights are: “Evening falls between the trees”, The Turkish Baber and the much loved “Number 38 Bus”. 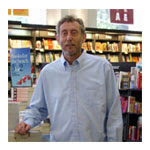 Dalston resident Michael Rosen is a writer and broadcaster, poet and performer, best known as a prolific writer of children’s books. He is currently children’s laureate. Hackney Council has opened talks with Ridley Road Market Traders Association (RRMTA) about its plans to redevelop Dalston's market within 2 years. In Hackney Beancounters Go Bananas we reported how the Council had previously denied the existence of any plans. The redevelopment plans have been revealed in the context of a continuing wave of Hackney Council prosecutions of Ridley Road traders and attempts to revoke their licences. 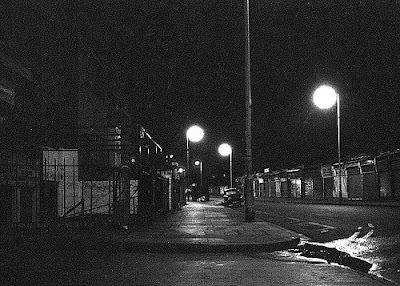 We questioned Hackney Council's motives for this punitive approach in "A spectre of corporate malice is said to stalk Ridley Road". Hackney Council have now admitted that, because it's redevelopment plans will require moving traders off their pitches, there could be difficulties implementing its plans if traders had permanent rather than "casual" licences. Permanent licensees have legal safeguards including rights of appeal to the Courts in cases of injustice. 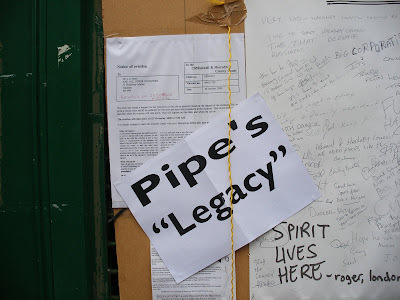 Hackney's Mayor Pipe has stated that it is "absolute nonsense" that there are plans to sell off market land for redevelopment and that the Council's enforcement officers are using their "Regulations" to get rid of Ridley Road's traders. But the Council is currently revising it's market Rules and Regulations - from 6 to 17 pages! Traders have voiced concerns regarding their ability to trade if such draconian rules are implemented. 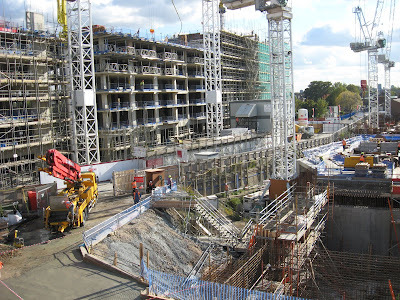 Market redevelopment schemes have given rise to controversy all over the county - you can read about some of them here and here. Larry Julian, long time Chair of Ridley Road Market Traders Association, said "We'd be very happy to see much needed repairs and improvements to the market. We would also expect to participate as partners with the Council in any plans for the redevelopment of the market. 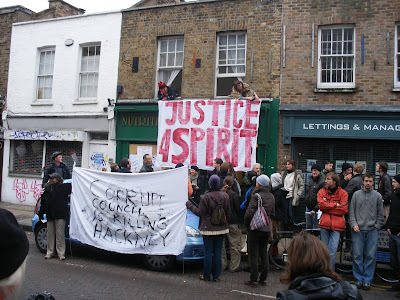 But the Council's present policies are causing untold misery and there is huge public expense from Court cases which it should have avoided"
Hackney's Mayor Pipe also stated (on the Hackney Podcast) that the traders' electricity supplies are being paid for from the public purse and he even implied that traders have been stealing electricity. The RRMTA still await Mayor Pipe's apology for this untrue and defamatory statement. Council documents have been mysteriously overlooked which appear to show that electricity costs have been included in the service charges paid by traders for over a decade. But despite already paying for the service, Ridley Road traders' electricity supplies have still not been reinstated. Their businesses will suffer even more now as the nights are drawing in. In the face of the Council's punitive campaign some Ridley traders have been tempted by offers of "casual" licences rather than face the risk of losing their livelihoods permanently. But most traders are not prepared to be bullied or bribed by bureaucrats. One such trader who has stood up for his rights is Leslie "Bonner" Ware. Bonner was born in Dalston. He attended Colvestone Primary and William Ellis schools. He played for Hackney Schools football team which reached the All England finals at White Hart Lane. Some of his team mates turned professional - George Adams went on to play for Manchester City and Brian Brown for Chelsea. Bonner's is one of Dalston's oldest families of market traders - so old that his great-grandparents stall was moved off Kingsland Road into the more secluded Ridley Road when cars were invented. A tank sold off by the army to Bonner's great grandfather, Mr Julian, after the Great War. Bonner joined the family business aged 17 and, like his parents and grandparents before him, has traded in Ridley all his working life. This newspaper cutting from the Hackney Gazette shows traders lining Ridley Road to pay their respects to Bonner's mother who had suddenly passed away. It describes her family as being Dalston market traders for over a century. For over 45 years Bonner has served the public at his stall without any problems from Hackney Council. He also served the Ridley Road Market Traders' Association as its Honorary Secretary for many years but he had to give up that post a while ago to focus on his family - his wife had been diagnosed with multiple sclerosis. Bonner himself is now approaching retirement age. Since the Council took away his bulk storage facilities in Birkbeck Road, Bonner, like other traders, had to spend more time away from the stall buying the stock to sell on a daily basis. He was also frequently called away to care for his wife. 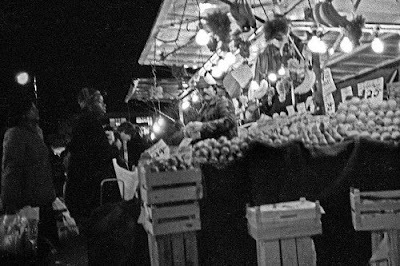 But the stall kept trading and the customers were served throughout the market trading hours with the help of Bonner's trusted assistant, Andrew. Hackney Council officers knew all of this when they recommended that Bonner's licence be revoked. They said that, contrary to "Regulations", he had "no reasonable excuse" for not personally being on the stall for 51% of the licensed trading hours. His licence was then summarily revoked by Hackney Council's Market Licensing Panel. The Panel claims to be made up of "independent" Council officers -"independent" in the sense that one officer on the Panel is the immediate boss of the officer recommending revocation of the licences and, in turn, her boss is the Chair of the Panel. Bonner lodged an appeal to the Magistrates Court but in the meantime Hackney Council refused his application for a new license to trade until the appeal was decided. So Bonner and Andrew were out of work and without an income. Hackney Council quickly dropped relying on its regulations when faced with Bonner's Court appeal. The Council realised it couldn't produce evidence that it had consulted anyone, let alone the traders, before introducing the regulations last year. Thames Magistrates were not impressed. After three court appearances and a whole day's trial, it upheld Bonner's appeal. It found that, provided the stall was trading, there was no requirement for the licensee to be personally present on the stall at all! All of Hackney Council's legal costs will be paid by Council Tax payers. Bonner said afterwards "Hackney Council seems to think it is the law. It treats us market traders like serfs. 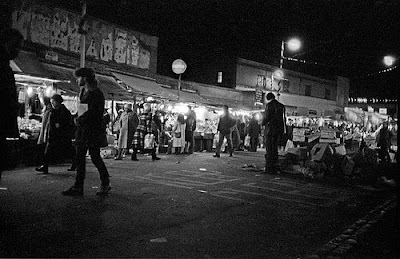 It's degrading and intolerable"
The planned redevelopment of Ridley Road Market is part of the authorities Dalston Area Action Plan to redevelop Dalston town centre. Two years ago in The story that was never told we concluded that, with the announcement to extend Dalston Junction rail link to the Overground at Highbury, the authorities had already started work planning Dalston Lane North. Traders' negotiations for new leases of the market's storage yards were suspended. The market's foodstore in Birkbeck Road was not repaired following a fire and vandalism. Many of the properties on Kingsland Road and Ashwin Street have now been boarded up or made derelict and ready for demolition. 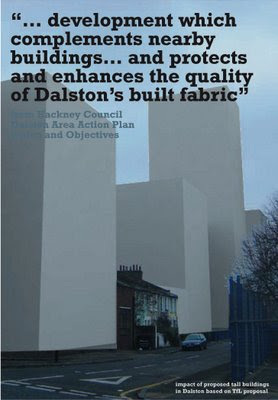 The extent of the authorities plans for Dalston are shortly to be revealed. The writing is on the wall. The Nutritious Food Galley in Broadway Market was built by Spirit from a derelict shop 15 years ago. It has since been his home and his business. He has worked hard with others to create a thriving market. But in 2001 Hackney Council was facing bankruptcy and auctioning off all saleable assets. Out of the blue Spirit received a letter saying that, unless within 4 weeks he purchased the property for £100,000, it would be auctioned. Yet despite paying the £10,000 deposit, and signing a contract, the property was sold at auction for £85,000 to an offshore company. Spirit's cheque was returned without explanation. Some time after the auction the new landlords took steps under the lease to increase the rent - by 800% - which they then backdated. In October 2005 a Court possession order was made for rent arrears and £7,000 legal costs. Spirit appealed and further costs of £5,000 were incurred. Spirit was without legal representation at these Court hearings. Eventually the Court of Appeal upheld the possession order and the landlords have now issued a warrant for possession. Over the last three years Spirit has managed to pay off over £50,000 in rent and arrears and is now completely up to date. But the landlord is now evicting him for the outstanding £7,000 legal costs and is also sending bailiff's to seize goods to satisfy the further £5,000 legal costs. Spirit's plea to the Court for further time to pay was finally rejected last week. Spirit has made the following statement. "I am deeply distressed at the way I have been treated by Hackney Council and my current landlords. 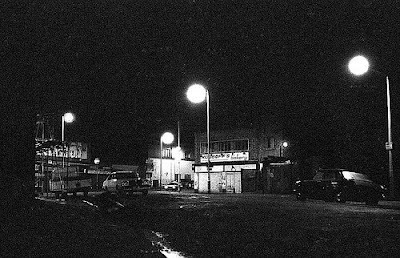 When I first came to Broadway Market the area was affected by widespread dereliction, and 71 Broadway Market was just a shell. I worked hard to restore the building and to start my business, and I contributed to the improvement of the area in general. My shop is the only one on Broadway Market representing and servicing the day-to-day needs of the Caribbean community by way of fresh fish, fruit, vegetables and West Indian produce, and I also have many other local customers who enjoy my food. Prices have gone up very much in this area, but I have kept my prices low so my customers can continue to afford to eat fresh, healthy food. It is a bitter irony that Hackney Council denied me the right to buy my property after contributing so much to Broadway Market and the local community while they allow someone who I believe is a speculator to profit from all the improvements I've made. Why does the Council not recognise the people who invest into their local area from inside the community - why do they let outsiders take their livelihood from them and chance the character of the community? I've been working all my life, 6-7 days a week, sometimes 16 hours a day, and I thought that by having a business I would provide a good role model for the youth in this area, and provide for the future of my family, but the message everyone has been getting - and I've been undergoing this plight for 7 years now - is not a positive one. It doesn't surprise me that I'm having the support of the entire local community, who want me to keep my shop and home, because of the character of the business I have portrayed in this statement." OPEN has reported the consequences of similar Council auction sales of a historic terrace in Dalston Lane, also sold to an off-shore company having the same managing agent, and the threat to local family businesses of predatory developers and "regeneration" schemes. 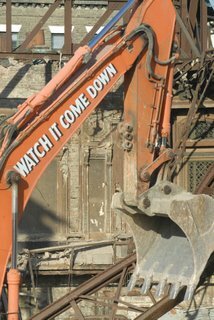 At 7.30pm on Friday 19 September at Cafe Oto, Ashwin Street, E8 you have the chance to watch "Legacy In The Dust" (click on Trailer). 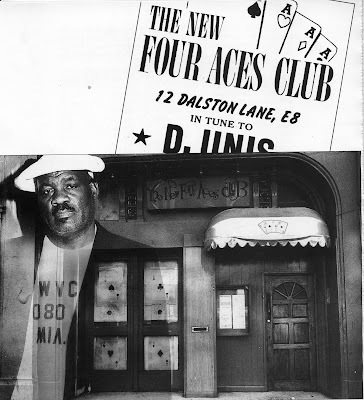 Dalston legend Newton Dunbar, who ran the Fours Aces club for 33 years, and Dalston's brilliant young film maker Winstan Whitter will be there too for a Q&A session. And there'll be a mega music session to follow starting at 10.30pm featuring Winston Reedy, Delroy Pinnock and Freetown plus surprise guests.The details are here and more here. The Four Aces Club had a controversial history. In one period of frequent raids the Metropolitan Police, with the Daily Mail in tow, sought to vilify the Club (the headlines screamed about drug dens, Yardies etc). 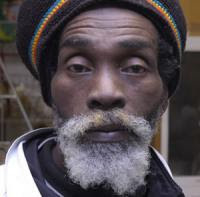 But, whilst the authorities sought to expel black music from Dalston, dozens of police officers were transferred away from Stoke Newington Police Station amid allegations that some were dealing crack cocaine on Dalston's "front line" - Sandringham Road, E8. Police officers were convicted in the criminal courts but Newton Dunbar's reputation was, and remains, unblemished. 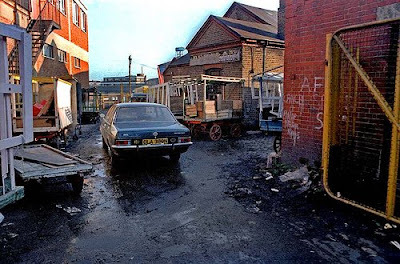 Newton triumphed in the face of adversity and harassment until the Council's compulsory purchase orders finally claimed Dalston's historic buildings for redevelopment purposes in 1999. 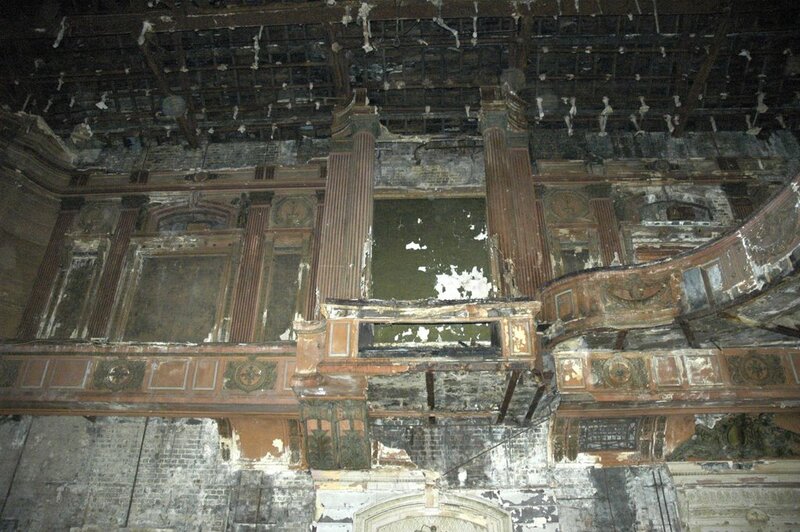 They remained derelict and on death row until finally demolished in 2007. The first act of demolition occurred suddenly when Hackney cut down the trees which Newton and Charles Collins had planted in the Club's garden to commemorate the young people who had perished in the New Cross fire - widely believed to have been a racist arson attack. 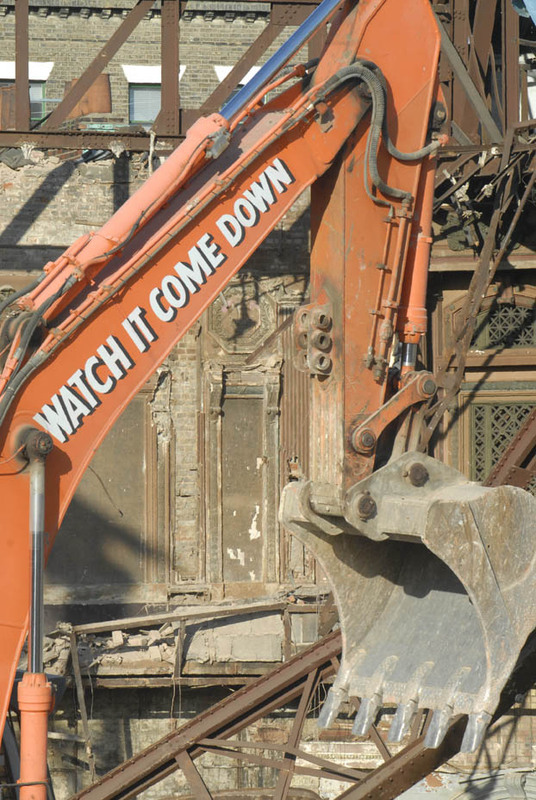 The demolitions proceeded without any opportunity for the community to celebrate the 120 years of service to popular culture and performing arts which the historic buildings had performed. The buildings had reinvented themselves over the years to meet the public's changing demands - from the times of Sir Robert Fossett's circus in 1886, through the period as a Victorian variety theatre with Hackney's own international star of the music hall Marie Lloyd, then its makeover and re-opening by Hackney's Mayor Herbert Morrison in 1920 as "the greatest cinema in the Britsh Empire", then in the 1960s & '70s as a home for international stars of black music and finally giving birth to the drum 'n bass & acid-house as part of the rave scene of the 1990s. Newton worked with OPEN to challenge Hackney Council's moves to demolish Dalston's character and history and replace it with towerblocks. 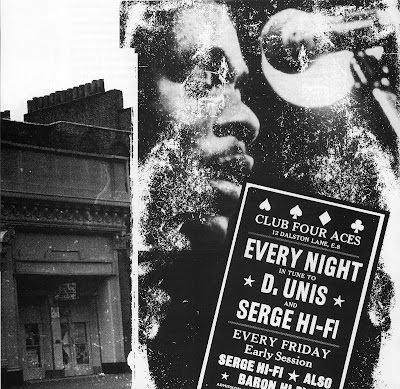 He filed an affidavit in OPEN's High Court proceedings describing the history of the Club, the eviction of the community from the buildings and, with historic photographs, how part of the roofs of the Theatre building were removed contributing to the destruction by rainwater of Dalston's jewel in the crown - the magnificent 1920's interiors of what had become known as the Labyrinth. Winstan Whitter's documentary film details the history of the buildings and the Four Aces Club, its people, its music and Newton's 33 years as its Director. Not to be missed. How did it happen? A ten year plan to destroy 185 years of culture. "The story that was never told"